Though this company does that mid-word, corporate, internet-capitalization thing that drives me nuts (“SarVecchio” Parmesan, “BellaVitano”, etc…) they make some pretty damn good cheese. This is a big wheels of sheep/cow cheese that shows the best flavors of both milks. Nutty and sharp with a great caramel aftertaste. 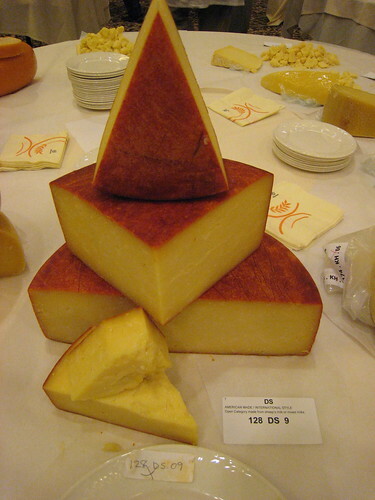 This entry was posted in Uncategorized and tagged acs 2010, acs favorites, american cheese society favorites, sartori. Bookmark the permalink.